A popular Italian breakfast or brunch dish, the 'purgatory' in the name refers to the fiery tomato sauce that the eggs are poached in which gets its heat from spicy 'nduja sausage. 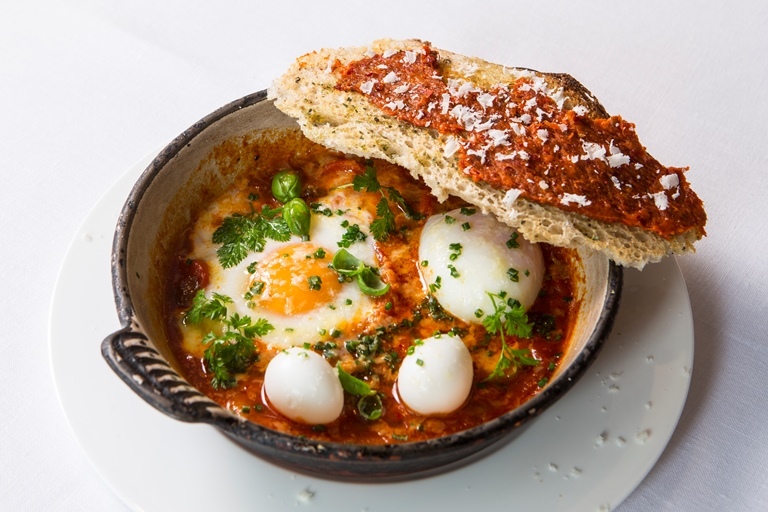 Francesco Mazzei recommends serving a little extra 'nduja on the side – spread a little on a piece of toasted sourdough to dunk in the runny yolks from a delicious medley of baked, poached and boiled eggs to achieve breakfast perfection. Francesco Mazzei reminds us why we fell in love with Italian food in the first place, conjuring soulful dishes that put flavour first.